Students may already be familiar with the words north, south, east and west, but they may not really understand what they mean. A cardinal points lesson plan will introduce students to how these words relate to maps, using a compass, giving accurate directions to others and receiving accurate directions from others. Students will be introduced to the four cardinal points and how they are used in mapping through a series of activities culminating in the creation of a Pirate Treasure Map. Students will learn how to find north using a compass and where the cardinal points are on a map. Students will learn how to give specific directions using the cardinal points instead of the terms left and right. Students will be able to follow directions given using the cardinal points. The following items will be used for the activities outlined in this lesson. Give students a blank piece of paper and ask them to draw a circle in the center of the paper. Instruct students to draw a horizontal and vertical line through the circle to create a compass rose. Have students fill in the cardinal directions on the compass rose. Have students stand up while they are holding the compass rose. 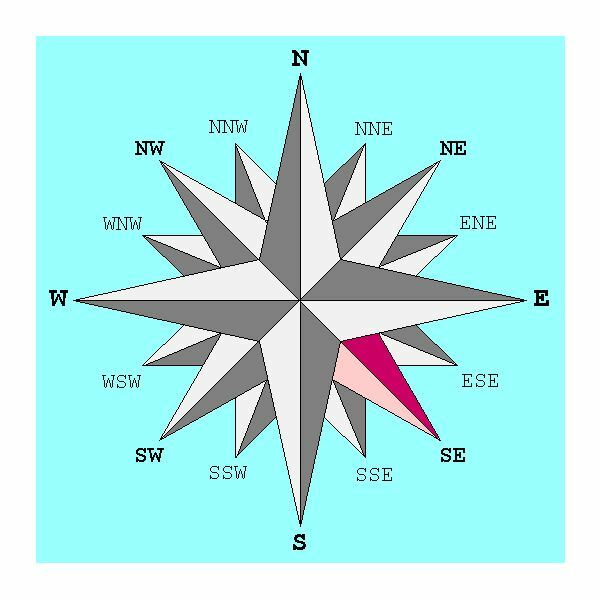 Ask the students to turn so the north on the compass rose actually points north. Discuss with the students why they were not able to correctly turn towards north. If some students are facing the correct direction ask them why they are facing that direction as some people have a natural sense of direction. Give students a compass and a map with the cardinal points already labeled. Have students stand holding the compass in one hand and face North. Have students turn slowly in a circle and observe what happens with the compass needle. Repeat the process while holding a map. Discuss the concept that no matter which way you are actually facing, up is always north on a map. Discuss how this concept may cause problems when trying to navigate using a map in an unfamiliar place. Instruct students to use at least two cardinal points to write directions from their classroom to another room in the school. Don’t use the terms left or right. Have students give their completed directions to another student to follow and see if they are accurate. Repeat the activity writing directions from school to the student’s house or from any two points they are familiar with for additional practice. This activity can also be done in a large open room that has obstacles placed around the room. Students are required to create a map and instructions on navigating the ‘maze’ correctly. Ask students to use a map to write directions from their house to a local landmark. Exchange directions with another student and have the second student trace the directions on a new map to verify they are correct. Students who successfully complete this portion of the cardinal points lesson plan are ready to move onto the next activity. Pirate Joe needs your help. He wants to open his treasure chest but the keys have been scattered. Each key must be picked up and used in the correct order or the treasure chest will not open. Joe has directions but they say turn left or turn right and Joe doesn’t know his left from his right. Please write out directions for him using north, south, east and west so that he can get each key in order. The directions will provide navigation directions to each key, then to the treasure chest, then on to the next key. Have students write out their directions. Exchange directions with another student. Have the second student follow the directions as quickly as possible, but they must follow them exactly, and time how long it takes to deliver each of the keys to the treasure chest. Students can be evaluated on a three-point scale for this lesson. Student is unable to create directions using the cardinal points. Student is able to create directions using the cardinal points. Student is able to create directions and follow another student’s correct directions using the cardinal points. Learning how to correctly use the cardinal points when giving directions is an important life skill. Many people travel to unfamiliar cities and locations where driving directions are often given with the cardinal points. Students who are successful with this cardinal point lesson plan will be able to participate in more advanced activities such as geocaching or orienteering.